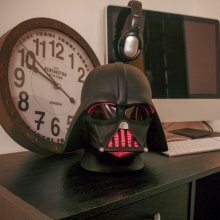 The Darth Vader Mood Light is official Star Wars merchandise! There are 3 LED lights inside that glow through the eyes! It is powered by 3 x AA batteries (not included) and measures around 24 cm x 25 cm x 25 cm. The lamp is made from moulded plastic with perspex lenses in eye holes. 2 pieces of lights in package, suited for 2 doors. Size: 62*67*14 mm. 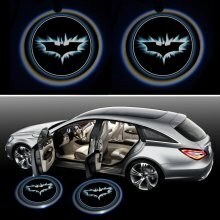 All Batman fans would be thrilled with these Batman lights on their car doors!